As part of a new research, a team of Italian scientists has successfully developed retinal implants that are capable of reversing vision loss in rats. Engineered to turn light into electrical signals for the neurons in the retina, these artificial implants could be of huge help in conditions that cause retinal degeneration. If everything goes according to plan, the new technology will be tested in humans towards the end of this year. Made up of several million photoreceptor cells, the retina forms the innermost coating of the human eye. In case of retinitis pigmentosa (RP), a hereditary degenerative eye disorder, genetic mutations result in the progressive disintegration of rod photoreceptors leading to vision impairment and eventual blindness. In patients suffering from this condition, the retinal neurons surrounding the affected cells remain perfectly functional. In the past, researchers have attempted to reverse retinitis pigmentosa using specially-designed bionic eye contraptions that stimulate the retinal neurons with the help of electrical signals. Over the years, scientists have also tried to undo the genetic mutations responsible for causing blindness via the CRISPR gene editing technique. 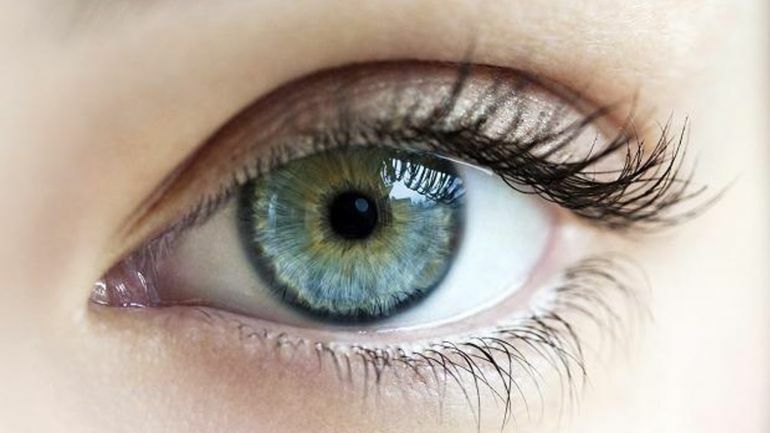 For the current study, a group from the Italian Institute of Technology has come up with an entirely new approach involving an implantable prosthesis that works in place of the RP-affected retina. As pointed out by the team, the implant contains a thin sheet of special conductive polymer situated on a silk-based substrate. It is further wrapped inside a semiconducting polymer, which in turn absorbs photons from the incoming light much like a photovoltaic substance. The resultant electrical signals stimulate the neurons present in the retina. To test the efficacy of the new technology, the scientists worked with Royal College of Surgeons (RCS) rats that had been genetically modified to develop a rodent version of retinitis pigmentosa. Once the implants were embedded, the researchers waited for a period of 30 days before checking the rats’ sensitivity towards light, also known as pupillary reflex. When exposed to low intensity light of around 1 lux, which is slightly brighter than the luminance of full moon, the pupillary reflex of the treated and untreated RP-affected rats was almost the same. At higher intensities of 4 to 5 lux, however, responses were vastly different. To further test the effectiveness of the device, the scientists used positron emission tomography (PET) to study brain activity in the treated rats during exposure to light. They found a discernable increase in the activities of the primary visual cortex, a section of the brain that is responsible for processing visual information. Although further analysis would be required to ascertain the findings, the researchers believe that the new technology helps stimulate the “residual neuronal circuitries in the degenerate retina”. We hope to replicate in humans the excellent results obtained in animal models. We plan to carry out the first human trials in the second half of this year and gather preliminary results during 2018. This [implant] could be a turning point in the treatment of extremely debilitating retinal diseases.